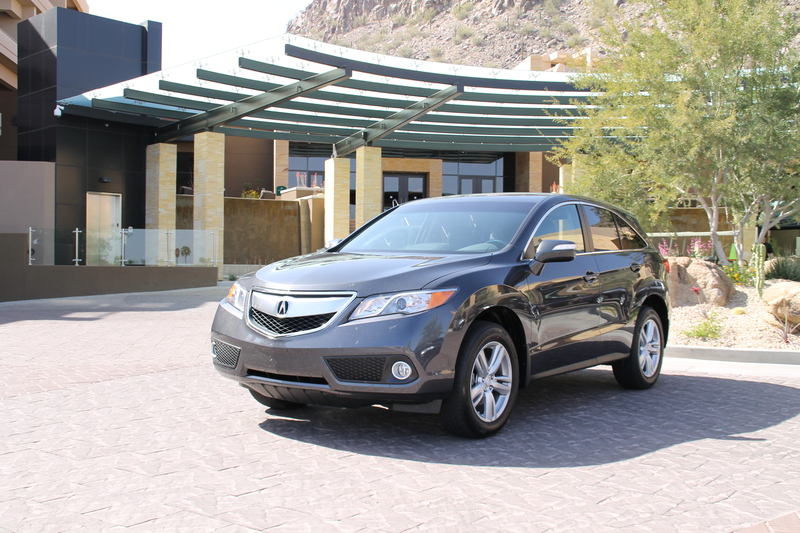 With Acura’s introduction of the 2013 RDX, it would be safe to say that the Japanese manufacturer’s latest and improved version of their popular entry-level crossover SUV will be a consistent performer. In every meaning of the phrase. In fact, at a recent unveiling inScottsdale,Arizona, company spokespeople went out of their way to tell the world that they are very optimistic about the 2013 model. In fact, they anticipate selling 4,500 vehicles which represents 500 more than the RDX’s previous best sales numbers back in 2008, two years after its introduction to the buying public in 2006. And there is much to suggest that this target could well be achieved – easily. Think of the all new Honda CR-V but with more power, features and cache. Truthfully, what’s not to like in this 2013 RDX package – especially if you have never been exposed to the slightly more spirited 2012 model with its turbo-charged four cylinder engine? A feature which some drivers seemed to prefer – but were often vocal in their complaints since many felt it lacked some of the expected refinement associated with a premium brand. But if you were only using it to shuttle your kids to school and sundry practices on city roads, it likely never really had any negative impact. Available in dealerships across the country at the beginning of April 2013, the MSRP for the 2013 will start at CAD $40,990 and the model with the Technology Package which we test drove on terrific roads north and east of Phoenix through seemingly endless scrub lands, desert and mountains, for CAD $43,900. It should be noted that for 2013, Acura has added significant additional features worth about $3,400 and some major engineering refinements – yet the price is only around $500 more than 2012. Interestingly enough, the 2013 RDX with a bigger, more powerful engine also manages, according to the manufacturers, to achieve superior fuel economy than before. While we road-tested the vehicle over the better part of a day, we were not looking for numbers that would cause excitement in the hypermiling community. We were driving. Often hard. Especially when the opportunity presented itself on the spirited jaunt onArizona’s Hwy. 87 into Payson. Here, the vehicle felt most comfortable and that gas consumption willing, might have cruised forever. The 2013 model is also significantly quieter and smoother (some might say too much so) than previous iterations thanks to a longer wheelbase and all-new Amplitude Reactive Dampers and a new motion adaptive electronic power steering system. No compromise in the audio level of conversation in this luxury; most occupants will likely appreciate the new interior design with increased utility, rich interior materials and the generous use of noise insulation throughout. Standard features on the RDX include leather seating surfaces, heated power front seats, a power moon roof and a 360-watt audio system. New technologies such as an SMS text messaging function (which this writer has difficulty comprehending given many provinces new distracted driving laws), a keyless access system with the convenience of pushbutton start, an active noise control system and the most welcome addition of a rear view camera system with three unique viewing angles are also standard on all RDX models. This latter feature is also now standard on all levels of the all new Honda CR-V. The RDX tech package adds Acura navigation system with (bi-lingual) voice recognition; a hard disk drive (HDD) system with 60 GB of storage capacity; GPS-linked solar-sensing, dual-zone automatic climate control system; power rear tailgate; and an Acura/ELS surround premium sound system with 10 speakers, DVD-audio, multi-format CD player, AM/FM tuner and XM radio. The 2013 RDX is then, in its competitive category with Audi Q5, MB GLK and Infiniti EX35 and BMW X1, in pretty good company. 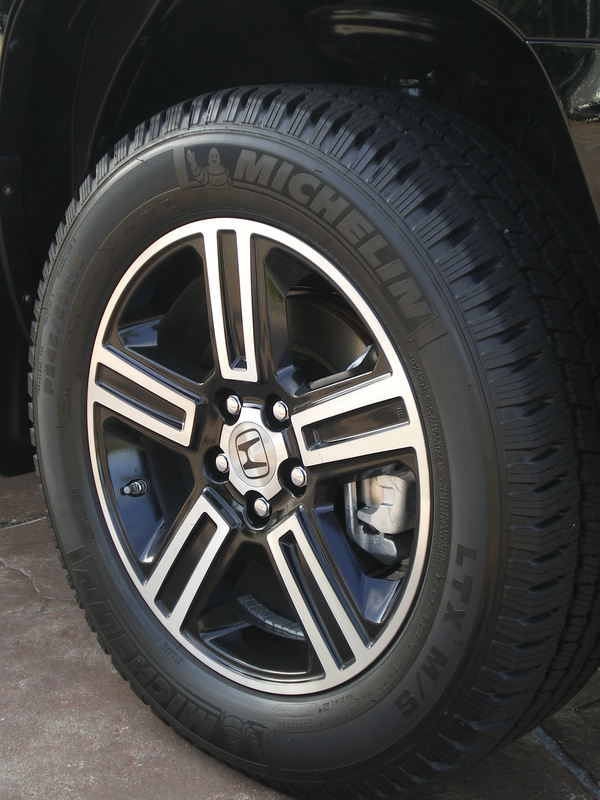 With its expected Acura-styling, room and highway driving comfort and handling, the future should auger well. Acura hopes to appeal to more women drivers – without producing an overtly feminine vehicle – whatever that might be. Will they succeed? We’ll leave that to the buying public at large. However, nothing has been done to deliberately alienate any demographic with the introduction of this safe – in all respects, CUV. You can be sure that February 16, 2012 is a date that will long resonate in the hallways of Hyundai around the world – but especially here inCanada. It was that morning when Richard Russell, Chair of the Automobile Journalists Association of Canada (AJAC) opened an envelope and declared the 2012 Hyundai Elantra had been awarded AJAC’s Car of the Year. Just a few moments before, a room full of media from across North America exploded when Steve Kelleher, President and CEO, Hyundai Auto Canada Corp. made the short walk to the podium to accept the “Best New Design” award for 2012 for the new and innovative Hyundai Veloster. For Hyundai, this morning was, indeed a moment to savour. Earlier this year at the Detroit Auto Show on January 9, the Elantra was selected as the North American Car of the year for 2012. A double honour; one that many had been quietly debating around water coolers and in the shadows for some weeks. Validation for the Korean-based manufacturer who has slowly convinced many auto journalists and aficionados over recent years that their engineering, value proposition and fluidic styling were the real deal. In fact, back at the beginning of 2009 those two exact same awards were bestowed upon Hyundai’s rear-wheel drive sports coupe, the Genesis. What made this award all the more special was that the three finalists for this honour were all Korean manufacturers. Hyundai with the Accent and the Elantra and sister company, Kia, the upstart, new kids on the block, with the Optima. No longer would Hyundai be considered a one trick pony – pun completely intended. Now, the general public will have to pay attention to another Asian manufacturer of well-engineered, value-laden and stylish modes of transport for practically every budget. Later the same morning, I was able to sit down with the affable Mr. Kelleher for a quiet, far-reaching and informative one-on-one interview as he and his staff slowly began to realize the enormity of their accomplishment. DT: Congratulations on this win. Feel any different today than you did yesterday? SK: Thank you. I have to admit that it was all a bit nerve wracking early on. While we did have finalists for two of the three cars, there was always the thought what if we split the vote? Even with the Veloster’s win earlier, we were still unsure. DT: Now do you believe that consumers will afford Hyundai the respect that you deserve? Do you see a pay off now for the value proposition – that and the fact that you may now be more than just a rational purchase? SK: We’re not about bragging rights. We do what we do very well and have been consistent in our styling, engineering and value-proposition for some time. It’s true that in the early years, we struggled. No question. But we stayed our course and made it through. 2011 was where many things went very well for us as a manufacturer and a marketer. From a consumer point of view, in the past, we would be perceived as a rational purchase – the price was right. But now, we offer a complete package. It’s not multiple choice. Now a car buyer will look at the design, the technology, the performance, the mileage – and, of course price and is more likely to want to buy us! Becoming an emotional purchase? That’s a change for us that while slow in coming, has built in momentum. We need to maintain that and build upon it. You know, Japan has been looking at us for a few years now – as has Detroit. We believe that Japanese manufacturers will work very hard to regain any lost market share from 2011 as a result of the earthquake and tsunami in Japan and later flooding inThailand. We respect our competition. All of it. It makes us stronger and hopefully better. We expect that Honda, for example, will do what they do best with their marketing and product, and will likely regain some of the market share they lost in 2011. Our goal is to build upon our successes. DT: The Elantra saw an overall increase in sales acrossCanadaof 30.1%, representing 44,970 vehicles. This January, Hyundai sold 7,460 vehicles, an 11.6% increase over last year. Where do you believe your sustained growth is coming from? SK: It’s a well-known fact that sales in Quebec and Eastern Canada for our various models have, until last year been the heart of our combined efforts inCanada. It’s practically been that way since 1984, our first full year in Canada. Ontario consumers have been rewarding us over these last few years with significant increased purchases. Approximately 20% each year. In fact, inCanadawe are fortunate to have enjoyed 37 consecutive months of year-over-year sales growth. It is our belief that going forward, we will likely not lose ground as far as market share goes. But we are not going to rest on our laurels and expect results. Going forward, we need to continue to offer our loyal customers the innovation, styling and pricing they have come to expect. This morning, we unveiled a 2-door coupe of the Elantra; later this year, an exciting all new Santa Fe will be rolled out. DT: So, complacency is not about to set in any time soon? SK: (smiling) Let’s hope not! We’re serious about who we are and what we can do. As a global corporation we’re proud and pleased to be in the position we are today. But we keep thinking “what have we done lately?” Just a few days ago I was in Korea for a series of meetings with head office. I also spent time in our design facility. The Namyang R&D Centre located in Hwaseong, Gyeonggi (about one hour south of Seoul) is a world-class technology research centre. 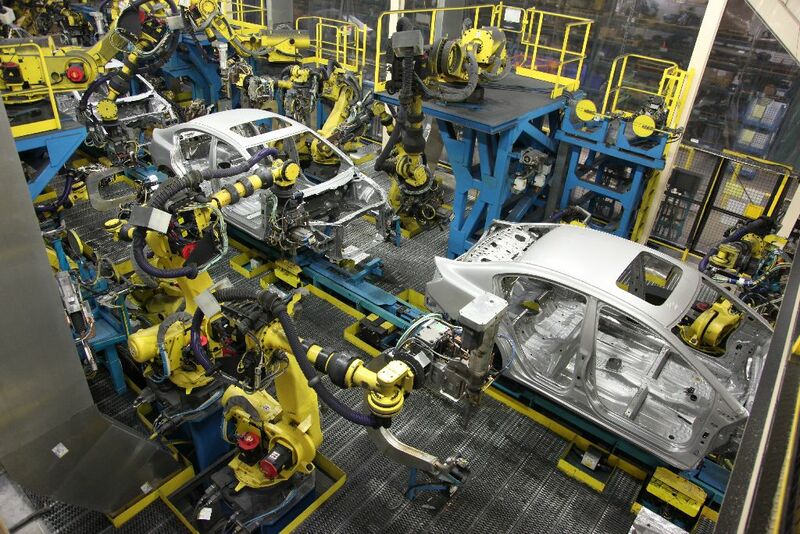 Hyundai now employs approximately 10,000 engineers, designers and researchers here working around the clock to create and develop the best automobiles in performance, quality, and eco-friendliness. A year ago, it was around 8,000. DT: Since Hyundai came to Canada, you made it clear that value-pricing and innovation was going to be your calling card. The Pony arrived with three price points: $3,999; $4,999; and, $5,999 – almost take it or leave it. Should what you are accomplishing today inCanadaand many other major markets come as a surprise? SK: Yes, the Pony! It’s true; we made no secret of our planned intent from day one. In many ways, we took what many of our Japanese friends were already doing and stayed pretty much on message. DT: How does Hyundai consistently package great styling, quality and technology for such a great price? SK: Simply, new ideas create new values. Hyundai will respond to the fast-changing international management environment by constructing a system for organic cooperation between production factory and sales headquarters in each country worldwide. DT: So there is buy-in around the world – including Canada? SK: Yes. Absolutely. Our corporate team and dealer network has been working harder to prioritize our customers and also the talent in all departments. It’s important we remain competitive. We will continue to do so through exceptional and even fundamental technologies; with environmental management and by continuously expanding our overall R&D and investment in eco-friendly vehicles. Hyundai Motor Company will work hard to provide this new value to yet more customers. We call it our modern premium concept. We need to give our customers the best car per dollar. What it means is that we put the features in the vehicle that people really want and need. Features in a compact car that are unheard of. Heated rear seats in the Elantra for example. We look at our competition. Very closely. We also noticed that some manufacturers were losing some of the quality on the interior. We made it clear internally; there could be no compromise. No damage to the integrity of the brand. DT: In a relatively short space of time, Hyundai has turned the industry on its ear. Now you have a line up of vehicles that can cater to almost any budget. Starting with the Accent and all the way to your super-premium Equus – the flagship marque. Is being all things to all people a misstep? SK: It’s tough to sell both. Each buyer’s wants and needs are so different. Two things: Equus and Genesis as a halo have done a lot for us as a manufacturer. I think they’re brand builders. It adds credibility. But is it the right move? Maybe… perhaps. Let’s look atToyota for example and their Avalon. Similar situation to ours. Do they sell many? No, not really. But it does sell and it does not seem to affect their brand – overall. DT: OK then, so why create an Equus… a Genesis? Because you can? SK. (laughs) Well, there is truth in that. But regardless, at this stage, if we do bring product to market, even with limited production, it must still be designed and built with our core principals in mind. DT: Where do you see the industry going long-term? SK: Long term? This year? Next year? Five years from now? DT: Do you see more hybrids, for example? DT: Does Canada have much influence in Korea as far as product development is concerned? SK: Well, the Elantra for North America has heated rear seats. Not available elsewhere.Canadadoes have influence, definitely. From the get go, Canadian input from this cold weather climate market was important. We even set up a cold weather test facility here. SK: (grinning) That’s about all I’m allowed to say right now! But it is something. You’ll see soon enough! DT: Are there similarities to the car market in Korea compared to Canada? SK: The fundamental difference is that larger cars are the norm; just like in Japan. OK, so that’s a generalization. The car market in Korean is pretty much the same size inCanada. But look around the roads for Hyundais and you’ll see more Genesis, Equus and of course Sonata than you will our own compact and sub-compact cars. DT: Now that’s a trend you’d like to emulate here. SK: Yes, but as long as we can sell and make competitive automobiles for any market, that’s our job. Just announced earlier this morning from Niagara-on-the-Lake, Ontario, The Automobile Journalists Association of Canada (AJAC) announced the names of 11 vehicles that will now compete for 2012 Canadian Car, and Canadian Utility Vehicle of the Year. The annual event known as Testfest and held in Niagara-on-the-Lake, brought 70 Canadian automotive journalists together to road and track test some 57, 2012 model year vehicles now arriving in dealer showrooms. Today’s announcement followed almost a week of rigourous road and track testing by AJAC members, with the purpose of narrowing a field of 57 entries down to winners in 11 categories. Did you spot the lonely North American automobile? Does this surprise you? Seriously? The AJAC 2011 car of the year was General Motors Cruz; is that once highly regarded vehicle now considered flavour of the month – yesterday’s news? Of the 70 Canadian journalists who participated in Testfest this month, there are few, if any changes from last year. Why the apparent about face? Public opinion? Or can North America not build a decent automobile? 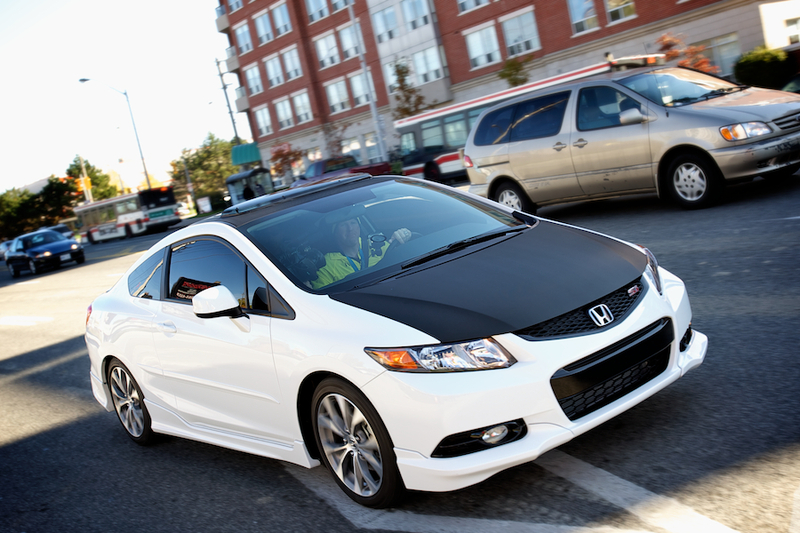 Hold on a moment; consider Honda Canada with their Alliston manufacturing facilities. Recently back on line at full production, they are producing between 1,400 and 1,600 Honda Civics per day for the North American market. A Japanese car, built in Canada that may well lay claim shortly to its 14th consecutive year of being Canada’s number one selling car. When was the last time we saw that honourable statistic bestowed upon one of Detroit’s Big 3? Oh yes, right… before there was any serious competition from European or Asian manufacturers, that’s when. I digress. 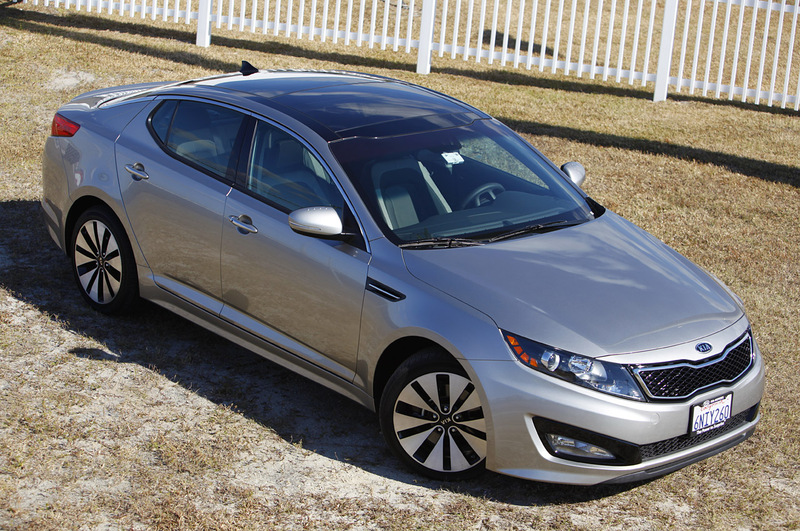 As can clearly be seen, Korean automakers did extremely well, actually winning five of the 11 categories — including the KIA Optima, which sewed up both family car categories. If you follow cars, the end result may not come as a complete surprise to many. For the past couple of years, Korean manufacturers Hyundai and Kia, a once bankrupt manufacturer not too many years ago has been bringing cars to the market with tremendous style and appeal while loaded with safety features and excellent value for the dollar. We’ll still have to wait a few months to hear the declared overall winners for 2012 Canadian Car of the Year and Utility Vehicle of the Year; they’ll be announced at the Canadian International AutoShow in Toronto in February 2012. One wonders; given the bailouts in North America to some automakers who were teetering on the brink, can they too, in the future return to their once former glory? Or are the stakes quite simply way too high? Time and public opinion will tell. These lyrics mean many things to so many people. It is an anthem really that perhaps is instantly identifiable with a lifestyle – that of the motorcycle. From the immediately recognizable opening guitar riff, this classic rock radio staple was Canadian rock icons Steppenwolf’s single biggest release. When it was attached to the soundtrack of ‘Easy Rider’, that one movie in its own way did more for motorcycles and the life on the road than any other movie before or since, including Marlon Brando’s ‘The Wild One’. Remember Peter Fonda’s chopper for the picture? This bike was specially built for the low budget film; one of four custom builds from Harley-Davidson® Hydra Glide® bikes – all previously owned by police departments. Wonderful irony. At the end of the day, the name Harley-Davidson® is synonymous with larger machines, often inappropriately associated with bike ‘gangs’ and the like. Truth be known, many bike owners, regardless of the brand are members of clubs – organizations, not gangs that often arrange various events and even fund raise for a charity of choice. Once considered a domain for men only, today both sexes consider motorcycles as a mode of transport – for that spirit of adventure. She, Alex, is quick to point out that these days, with Harleys being built in Milwaukee and the strength of the Canadian dollar, there has probably never been a better time than now to invest in a North American-made machine compared to an import. In fact, since the end of August 2009, prices of Harley-Davidson machines have been reduced by about 14½%. 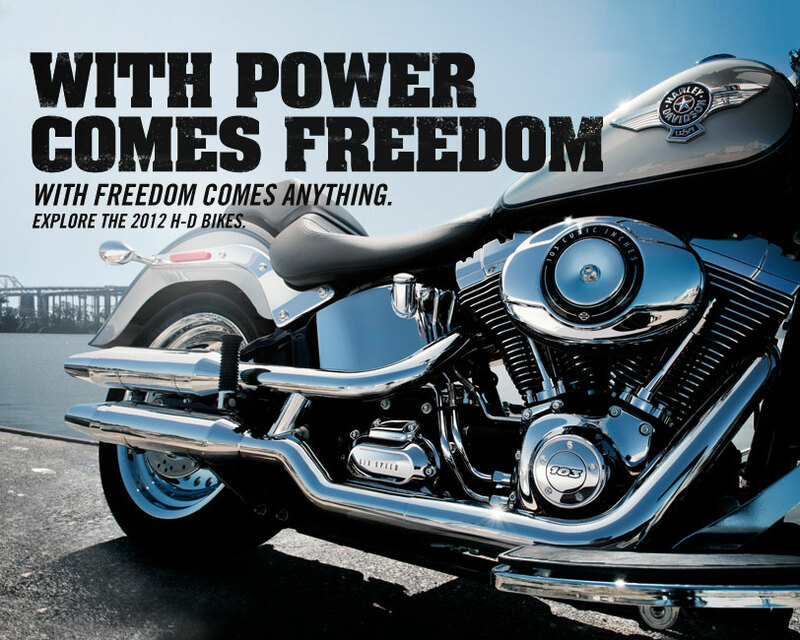 Let’s take a look at some of the exciting line up for 2012; what does Harley have in store for the newcomer to motorcycling and the enthusiastic, alike. Now for the first time ever, any Harley-Davidson customer that wants to purchase a 2012 Sportster 1200 Custom with a base MSRP of $11,389 will, with the aid of a powerful online tool at www.harleycanada.com/HD1bikebuilder.com be able to build and visualize their own, custom bike – and pricing. Choose colour; wheels, front end components – as many as 2,600 different combinations including foot-control location, seat and handlebar choices all of which may be selected to adjust the fit of the actual motorcycle to an individual rider’s specific stature. Once you have finished building your bike, print off the detailed description and take it down to your closest Harley-Davidson dealer. There a professional, highly-trained staff member can review your planned bike. They might even suggest items you had not considered, perhaps even removing others that, based upon your intended usage, may not be either necessary or appropriate. Finalized, place the order and expect to take delivery of a brand new, fully-customized bike within four weeks. All work will have been done at one time, leaving you to enjoy your new-found freedom with minimal interruption as you take to the open road and a lifetime of new adventures. Harley-Davidson now gives you the opportunity of owning two bikes – and all for the price of one! The new Dyna Switchback is indeed a true quick change artist; with colour-matched hard saddlebags and a fork mounted windshield, you’re sitting astride a 1,690cc beast with 100-foot pounds of torque at 3,500rpm. The Switchback is considered a custom touring motorcycle. However, remove the saddle bags and detach the windshield (all without tools) and voila, you’re now looking at your new custom street cruiser. The choices are yours and it all takes but a few moments depending upon how you plan to use your bike that day. This is a motorcycle that is sure to impress, regardless of your intended use. The H-D Dyna Switchback is designed and styled to evoke a classic proportion and clean, straight lines – from the fuel tank to the full-coverage rear fender. This bike will make a impression wherever it goes. And regardless of how you configure it in the morning, hours later on a winding, undulating two-lane highway in Northern Ontario, you’ll still feel alert and comfortable, thanks to a responsive riding package that Harley’s engineers and designers have worked hard to accomplish. Weighing in at only 718 pounds, it’s ready to handle whatever you throw in its path, delivering strong performance on the boulevard and the highway. Consider taking a Switchback for a test ride and see for yourself what enthusiasts and engineers alike are talking about. And yes, with its straight cut muffler, this machine’s chrome exhaust is tuned for a deep exhaust tone that makes it sound the way a Harley should. This is one bike that demands respect, commands the owner and onlookers alike to admire and nod in appreciation. This is a hot-rod touring performance motorcycle drenched with chrome that is only available in limited numbers so if you gaze at this machine with slack-jawed awe and reverence, it’ll take a strong will and an open cheque book to purchase one of only 2,100 units being produced. Not for the faint of heart, this bulging, limited-production motorcycle features the most powerful V-Twin engine offered by Harley-Davidson, an exclusive multi-coloured paint scheme and a brand new high-output Harman/Kardon sound system with MTX speakers and a host of other custom components, unique to this bike. And yes, the starting MSRP is $33,689. Everything about this machine shouts out its quality and complete synergy with the Harley-Davidson brand. When Bill Harley and Walter Davidson built the very first one-cylinder motorcycle in cramped quarters in Milwaukee, in 1903, would they even have dared to imagine a magnificent road machine such as this? OK. So technology aside, probably not. Regardless, everything about this bike speaks to its long, illustrious heritage and the highest standards. So much so, Harley-Davidson CVOs are backed by a two-year unlimited mileage warranty. Combine all this technology and style with the Screamin’ Eagle® Twin Cam 110™ engine, electronic throttle, electronic sequential fuel injection, a six-speed cruise drive transmission, all new black internally-wired handlebars with matching black hand controls and a whole host of additional features and amenities that make this a machine to be reckoned. Available in three absolutely gorgeous paint finishes, our vote goes to the White Gold Pearl and Starfire Black with Real Smoke graphic. Absolutely magnificent and a traffic stopper, to be sure. While you may never quite pull off the Peter Fonda look from the late 1960’s, know that on any Harley-Davidson you choose, you are practically guaranteed to look the part – especially if outfitted from your local Harley-Davidson dealer. You’re a rider that knows who they are and where they are going. The fact it may take a little longer to get there since riding is so exhilarating makes no difference. Drive well. Drive long. Drive safe. ** ‘Born to be Wild’ – Written by Dennis Edmonton, aka Mars Bonfire.